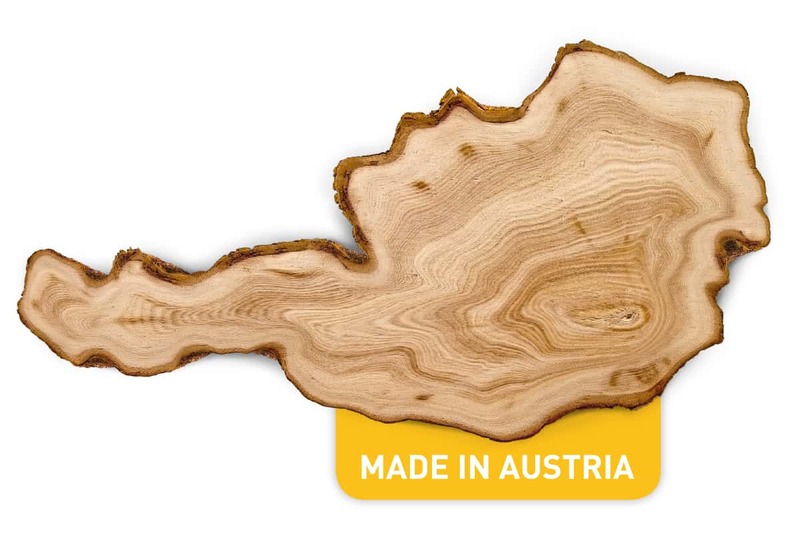 We are from Austria – our family tree has deep roots: Our family has been connected to the natural material wood for more than 180 years. What’s more, our home town of Weiz is located in the middle of lush and verdant Styria, the most densely forested province in Austria. Just as the stocks of our forests grow steadily, so too do we continue to evolve. Dr. Nicola Weitzer and Mag. Alexandra Decker-Weitzer are at the head of the family business spanning seven generations of the Weitzer family. It is with great care that they carry on the life work of their parents and grandparents. Trust grows here! From cut wood to finished parquet, every step is carried out by us in Austria. Social responsibility is an integral part of our corporate policy. That is why it is important to us to secure our employees’ jobs in Austria in the future as well. The company employs more than 600 members of staff. Production takes place exclusively in Austria – at the company headquarters in Weiz and also in Güssing since 2003. Weitzer Parkett uses almost exclusively wood from sustainable, European forestry and completely avoids using tropical wood. In our “Parquet Worlds” in Weiz, you can see the diverse range of wooden floors and perfectly matching parquet stairs for yourself in our 1500 m² showroom. Specialist advisers are at your side so you can experience our intelligent parquet and staircase solutions first-hand.